"It was one of those stories that you tell your family and friends and they don't believe you." 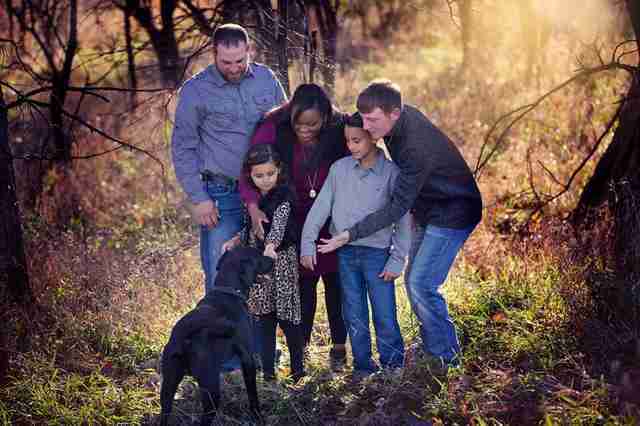 This is Bo — a sweet-natured dog who simply adores his family. But there's something else he loves. Bo loves adventure. And making new friends. 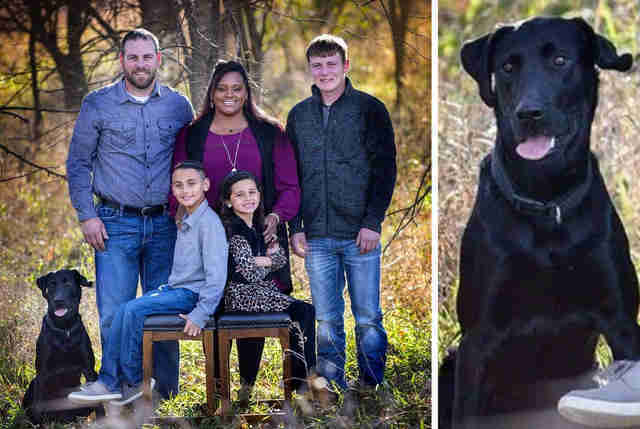 One night last week, the bubbly black Lab apparently decided to slip away from home to do a little exploring in the open fields near his family's property in Kansas. But before he left, so it seems, he forgot to leave a note. Naturally, his family was worried sick. "We had been searching for him nonstop," Laura Krier, Bo's owner, told The Dodo. Bo was missing — but sure enough, he was not alone. The next day, Krier got word that a dog fitting Bo's description had been spotted playing in a field 6 miles away. Krier's husband, Kyle, drove out to the spot to pick him up, and it's a good thing his vehicle had plenty of extra room. He'd need it. With the dog were two companions — an unlikely pair who joined Bo on his mission to explore. 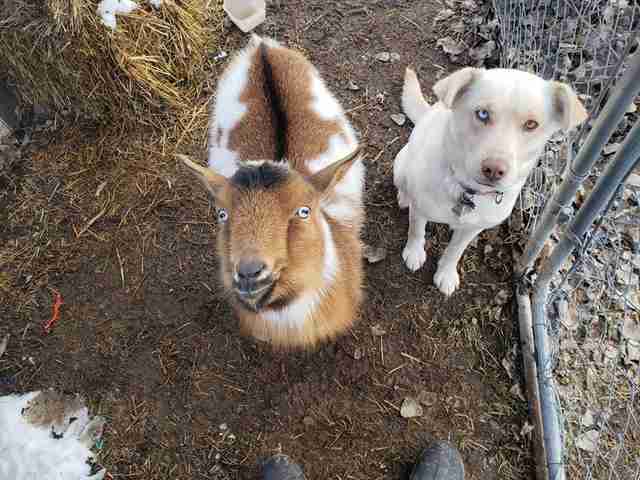 As it turns out, the dog and goat are familiar characters to the Kriers. The pair are named Ozzy and Libby, and they belong to the Kriers' neighbors, Chris and Shawna Huggans. After sneaking away from home the night before, Bo evidently headed over to their place and a plan was hatched. 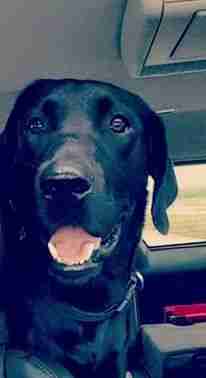 "It's difficult to say if Bo the black Lab or Libby and Ozzy were the culprit in starting the adventure. But, nonetheless, they escaped," Shawna Huggans told The Dodo. "They're pals for sure." Fortunately, everyone was now safe and sound. 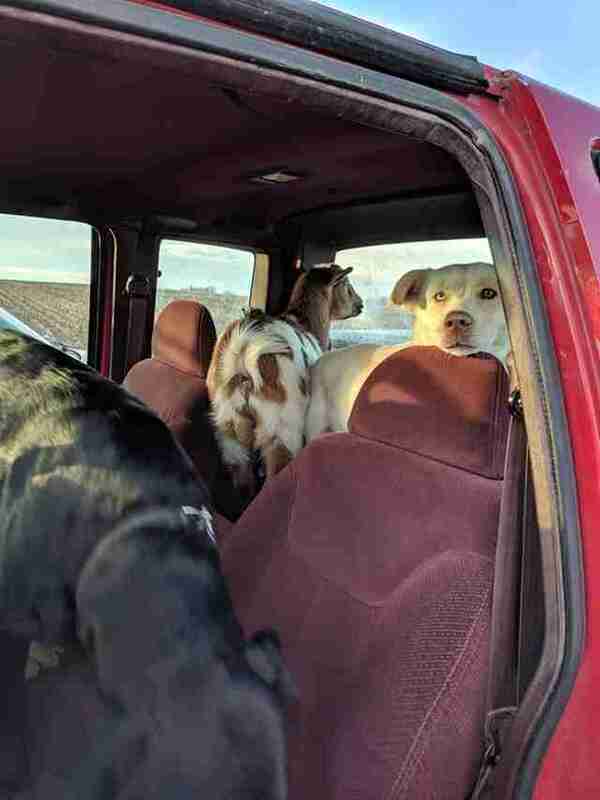 Bo, Libby and Ozzy may have headed out in search of a new experience, but the incident has been a novel one for their owners, too. "It was one of those stories that you tell your family and friends and they don't believe you," Krier said. "But then you watch the video and it totally happened." "It is funny. Bo is crazy, he is full of energy and always up to something," Krier said. "He's a nice, sweet dog."